Almost as soon as someone yelled, “Fire!,” the blaze overran the eighth floor. Soon all the buckets were emptied to no effect. Yards of cotton cloth, more flammable than paper, hanging from the ceiling and piled into overstuffed bins, became sheets of flame. The fire reached the ninth floor. The first women who made it to the only fire escape were lucky. It soon collapsed under their weight. The same happened with the elevator, which fell too fast to the ground and could not be raised. The final woman to escape on the elevator from the ninth floor, Katie Weiner, grabbed a cable and swung herself into the car on top of the others. You have that dreamlike feeling one has when something that simply cannot be happening really is. Flames are everywhere. And a smell, almost pleasant, like an outdoor barbecue. And then your mind says, “People,” and you smell the burning hair. You look to the window, but the fire escape is gone. You turn to the elevator, but it isn’t there anymore. You spot your friend Sophie in a crowd by the doorway to the stairs and you try to push close to her but there are screaming women between you and you hear, “Locked,” and then a different kind of scream like you have never heard. And now you feel your heart knocking in your chest and the brassy taste of adrenalin on your tongue. You peel yourself off from the mass of bodies at the door and swim against the noxious air back to the window. Now it’s your own hair burning, now it’s your lungs that knife you with each breath. 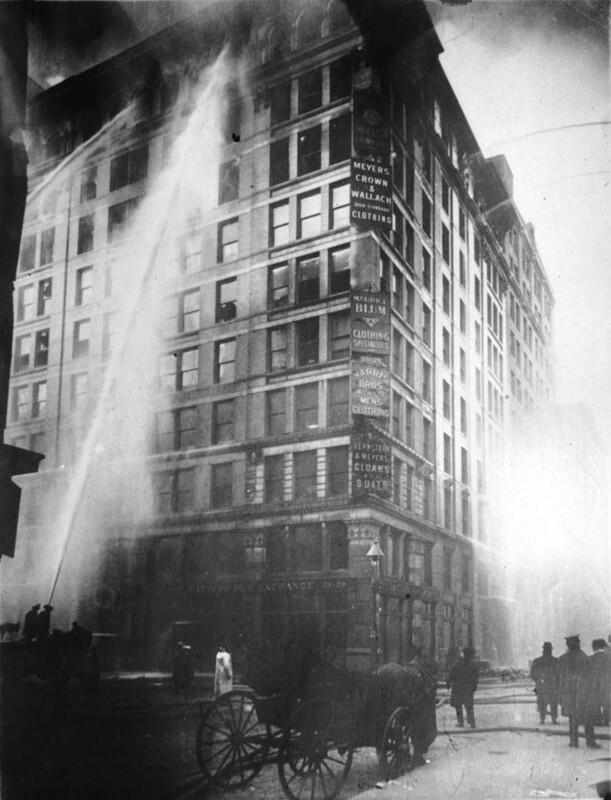 Two years earlier, New York’s garment district had been electrified by the Uprising of the 20,000, a woman-led movement for unionization and better conditions. In 1909, 19-year-old Clara Lemlich was among the thousands of workers who had packed a meeting called by Local 25 of the International Ladies’ Garment Workers’ Union (ILGWU) to discuss a general garment workers’ strike. Speaker after speaker rose to testify to unsafe conditions, 12-hour workdays and pennies an hour for pay. Finally, Clara had heard enough. Taking the stage, she proclaimed in Yiddish, “I have no further patience for talk as I am one of those who feels and suffers from the things pictured. I move that we go on a general strike…now!” The workers voted, and the strike was on. You are being chewed up by pain. You can’t see what’s below you on the street. You can’t stand anymore. You whisper, “Shema Yisroel, Adonai Eloheinu, Adonai, Echad,” and you plummet. You trust that you will be forgiven. And that someone will remember you.